What: Looking for that one-of-a-kind gift and a relaxing, family-friendly environment? 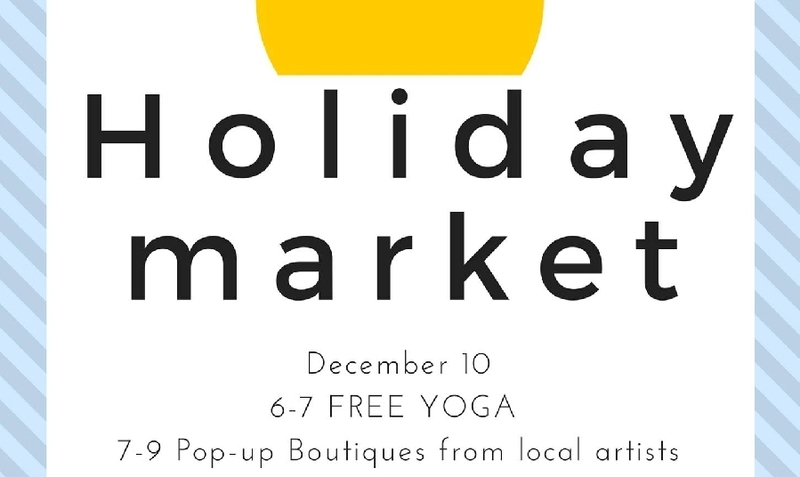 The Yoga and Holiday Craft fair is the perfect opportunity to have fun while fulfilling your Christmas shopping. Meet local artisans of Alameda and munch on yummy, free snacks from Whole Foods. The fair will feature 7-9 booths, with art from Phoebe Sherman Art, Hannah Crawford, Nasimeh Bahrayni and Rose Barkley. Support your local artists and find all of your holiday gift needs. At 6-7 PM, instructors from Yoga Alameda will teach yoga at all skill levels. The studio offers a variety of affordable classes at different skill levels, catering to the different needs of the community, such as those of pregnant women, families, and stressed-out professionals. Their class titles include Fitness Flow, Vinyasa Yoga, Pre-Natal, and Restorative Yoga. Additionally, Yoga Alameda brings the community together by offering a safe space for Alamedans. After the elections, the studio recognized a need for unity and offered free yoga classes. For more information about the studio, you can contact them at [email protected]. This festival is free, but requires you to sign up and bring an unwrapped toy for their fundraiser. The fundraiser benefits Toys for Tots, a program run by the United States Marine Corps Reserve which distributes toys to children whose parents cannot afford to buy them gifts for Christmas. Childcare is available, but one must sign up for it at www.yogaalameda.com. For more information, contact Yoga Alameda at (510) 263 8700.